With increased focus on environmental impact – the environmental footprint – the hotel industry is generally working to minimise water and energy consumption in hot water use for their guests – a problem which could soon be history. - "Hotel guests often take significantly longer showers than they usually do at home. They often think that it is nice to get to waste water and energy when they are not at home and this has long been a major challenge in the hotel industry. Therefore, the opportunity to minimise resource consumption in showering is a major benefit to the hotel industry," says Mehrdad Mahdjoubi, MD and founder of ORBITAL SYSTEMS. 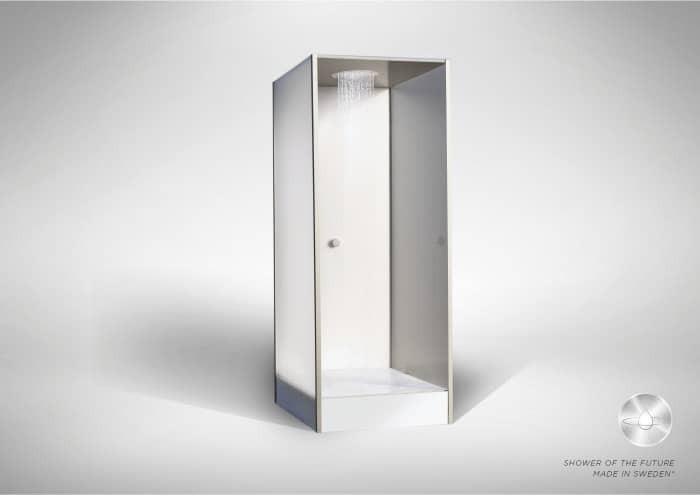 The shower, which is based on cutting edge technology, cleans, filters and pumps the water and saves up to 90% of the water and 80% of the energy, while simultaneously increasing comfort through a significantly higher water flow and cleaner water than municipal tap water. - "As a small, privately owned hotel with an entrepreneurial background, it is both inspiring and important position to take in sustainability issues to be on the way to establishing the future of showers in the hotel industry. The hotel and service industry, both locally and globally, has a responsibility to invest in high-quality innovations which contribute to a sustainable future – here ORBITAL SYSTEMS fits like a glove," says Ulrika Andersson, Hotel Director at the Hotel Mäster Johan. – "By installing this technology in of our rooms at the Hotel Mäster Johan, we will show that the technology is available, provide added value for our customers and be the first hotel in the world to try this product. We offer a high-quality experience while also saving both water and the environment," Ulrika continues. ORBITAL SYSTEMS founder and MD Mehrdad Mahdjoubi won the 2014 greatest innovation award SKAPA for his invention of the water-recycling shower. The Hotel Mäster Johan, Malmö's foremost business hotel since opening in 1990, is owned by MD Nina Ulvinen and offers 68 classically furnished rooms, 3 meeting rooms and a unique parvis where, amongst other things, you can enjoy the hotel's renowned breakfast buffet. The hotel is Nordic Ecolabelled and listed as one of Sweden's best hotels according to Trip Advisor.